Content with just one click! The content portal for brands. 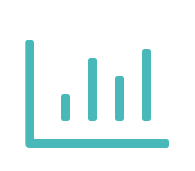 Share marketing material and product data with more than 5.000 retailers and create one central point of contact for your trading partners. Make sure your logos, marketing material and product data are distributed adequately. Due to the use of one central platform, individual customer enquiries are no longer necessary. Strengthen your brand management through full control of access rights. Upload marketing files, product data und logos and determine attributes such as seasons and expiration date. Once you have approved your retailers, they can access your content and use it for their ERP systems and marketing channels. You can reach your retailers with your content and attract new customers via our Newsletter and Platform. Each file includes special product and image details. In addition to article numbers, EANs and available colours & sizes, this information also entails terms and conditions. Learn more about our content platform in our video. Upload several files via drag & drop onto the platform. Edit cross-frame settings such as season, usable channels and time period. Determine keywords for your pictures. 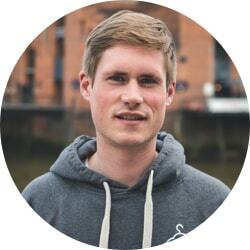 Would you like to learn more about the features of the content platform? Visit our FAQs about the content platform. Determine characteristics for the upload. Update und manage your pictures & videos anytime with single or multiple selection. We remind retailers of expiration dates as soon as they have downloaded your content. For more information visit our FAQs about the content platform. Terms & conditions in german and english! Manage access rights and decide who will become your brand ambassador. You can set the access rights for new merchants and retailers on the platform separately. Choose how long merchants are allowed to use your marketing material. We remind retailers of expiration dates. Lite Account – 99€ / month: You can upload unlimited files to the content platform and get full administration rights. 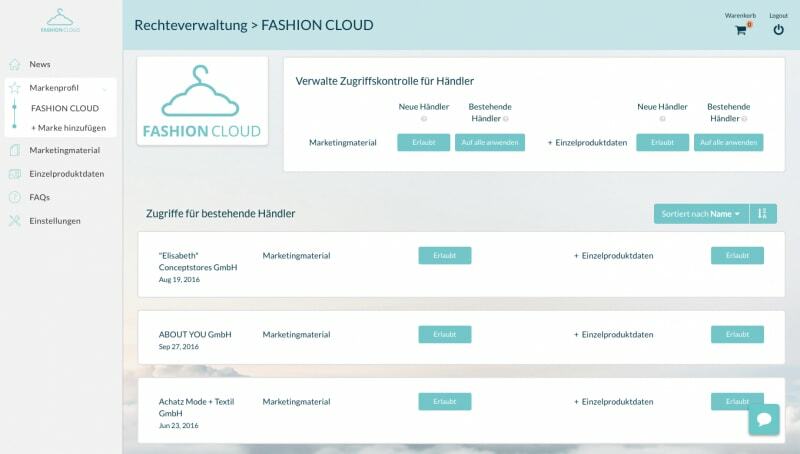 In order for your retailers to have complete access to your content they need to register as paying users at Fashion Cloud. Custom Account: You can enjoy full access rights and unlimited uploads. Your merchants don’t need to be registered as paying users to have unlimited access to your content. Registration for your retailers is free. Plus: You can expect further advantages, such as a warranty that ensures that you will be namely mentioned in our newsletter. The newsletter is sent out weekly to all of our retailers. 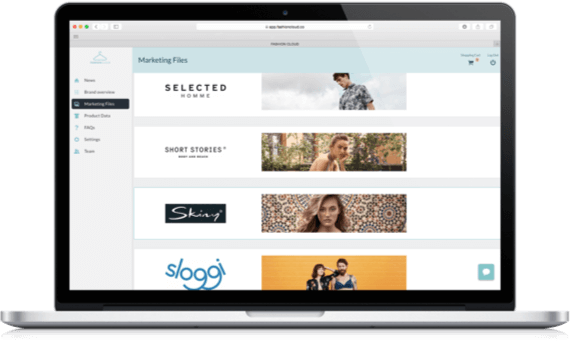 With more than 350 brands and 4,000 retailers, Fashion Cloud is Europe’s leading B2B content platform in the fashion industry. Our portfolio will provide you with an overview of the participating brands and retailers. In our Success Stories, brands and retailers talk about how they work with Fashion Cloud. 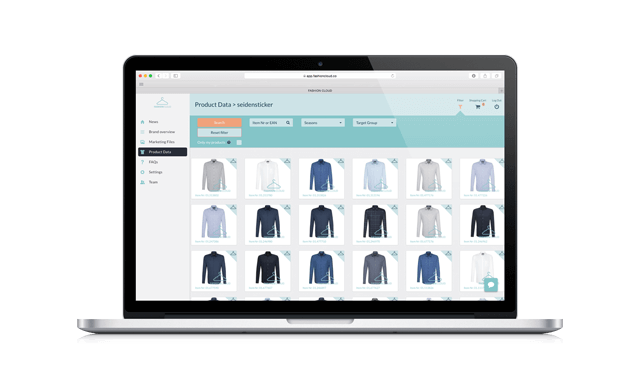 The integration of our systems with Fashion Cloud enables our trade partners to view all product images of the brands in our ERP system. Moreover, our customers are thrilled about the several included features and embrace the new possibilities an integration with Fashion Cloud offers. The quick distribution of our marketing material and product data via one platform means our marketing team spends fewer resources on distributing our material to every single one of our retailers individually. With Fashion Cloud, suppliers can ensure that their brand and CI are adequately represented by their retail partners. 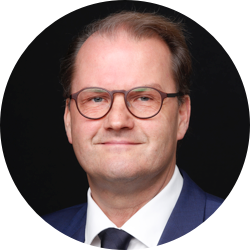 GermanFashion recommends the platform as an industry solution for the exchange of image material and stock data. Contact us: Contact one of our staff members and we will clarify which account suits you best. Share images: We support you during the upload of marketing materials and product data. Enjoy the advantages: Answer access requests from your retailers and receive reports on the use of your content. You want to upgrade directly or have questions?